✠Glory to Thee, our God glory to Thee! ✠O Heavenly King, the Comforter, the Spirit of Truth, Who art everywhere present and fillest all things, Treasury of Blessings and Giver of Life: Come and abide in us, and cleanse us from every impurity, and save our souls, O Good One. ✠Come, let us worship God our King. Come, let us worship and fall down before Christ our King and our God. Come, let us worship and fall down before Christ Himself, our King and our God. The Lord is my Shepherd, I shall not want; He makes me lie down in green pastures. He leads me beside still waters; He restores my soul. He leads me in paths of righteousness for His Name’s sake. Even though I walk through the valley of the shadow of death I fear no evil; for Thou art with me; Thy rod and Thy staff, they comfort me. Thou preparest a Table before me in the presence of my enemies; Thou anointest my head with oil, and most excellent is Thy Cup which brings me joy! Surely goodness and mercy shall follow me all the days of my life; and I shall dwell in the house of the Lord forever. The earth is the Lord’s and the fullness thereof, the world and those who dwell therein; for He has founded it upon the seas, and established it upon the rivers. Who shall ascend the hill of the Lord? And who shall stand in His holy place? He who has clean hands and a pure heart, who does not lift up his soul to what is false, and does not swear deceitfully. He will receive blessing from the Lord and vindication from the God of his salvation. Such is the generation of those who seek Him, who seek the face of the God of Jacob. Lift up your heads, O gates! and be lifted up, O ancient doors! that the King of Glory may come in. Who is the King of Glory? The Lord, strong and mighty, the Lord, mighty in battle! Lift up your heads, O gates! and be lifted up, O ancient doors! that the King of Glory may come in. Who is this King of Glory? The Lord of Hosts, He is the King of Glory! I kept my faith, even when I said, “I am greatly afflicted”; I said in my consternation, “Every man is a liar.” What shall I render to the Lord for all His bounty to me? I will lift up the Cup of Salvation and call on the name of the Lord, I will pay my vows to the Lord in the presence of all His people. Precious in the sight of the Lord is the death of His Saints. O Lord, I am Thy servant; I am Thy servant, the son of Thy handmaid. Thou hast loosed my bonds. I will offer to Thee the Sacrifice of Thanksgiving and call on the name of the Lord. I will pay my vows to the Lord in the presence of all His people, in the courts of the house of the Lord, in your midst, O Jerusalem. Disregard my iniquities, O Lord, Who wast born of a Virgin! Cleanse my heart and make it a temple of Thy Most Pure Body and Blood! Turn me not away from Thy countenance, for Thy great mercy is immeasurable! ✠Glory to the Father, and to the Son, and to the Holy Spirit. How dare I partake of Thy Holiness in my unworthiness? Even if I dare to approach Thee with the worthy, my garment accuses me, for it is not a wedding-garment, and I secure the condemnation of my most sinful soul. Cleanse, O Lord, the defilement of my soul and save me, for Thou lovest mankind! Great is the multitude of my sins, O Theotokos! I come to thee, O Pure One, in need of salvation! Visit my ailing soul, O thou who alone art Blesséd, and pray to thy Son and our God that He absolve the evil I have done! If the Canon of Preparation for Holy Communion has not been read the preceding evening, it may be read here. When you intend, O man, to eat the Master’s Body, approach with fear, lest you be burned ― for It is fire! Before drinking the Divine Blood in Communion, make peace with those who have grieved you. Only then may you dare to eat the Mystical Food. O Lord and Master Jesus Christ our God, the Fountain of Life and Immortality, the Creator of everything visible and invisible, the Eternal and Everlasting Son of the Eternal Father, Thou hast come in these latter days because of the abundance of Thy goodness, Thou hast put on our human flesh and wast crucified and buried for us thankless and graceless men, and through Thine own Blood Thou hast renewed our human nature which is corrupted by sin. And now, O Immortal King, accept the repentance of me a sinner and incline Thine ear to me and listen to my words: I have sinned, O Lord, I have sinned before Heaven and before Thy Face, and I am not worthy to look upon the height of Thy Glory. I have provoked Thy goodness, I have transgressed Thy commandments, I have not obeyed Thy statutes. But, O Lord, since Thou dost not remember evil, but art long-suffering and of great mercy, Thou hast not given me over to destruction for my lawlessness, but hast ever awaited my conversion. O Lover of men, Thou hast said by Thy prophets: “I have no pleasure in the death of the wicked, but that the wicked turn from his way and live.” For Thou dost not wish, O Master, that the work of Thy hands should perish, neither dost Thou take pleasure in the destruction of men, but Thou desirest that all men should be saved and come to the knowledge of the truth. Therefore, although I am unworthy both of Heaven and of earth and of this passing life, having wholly yielded myself to sin and defiled Thine image, yet being Thy creature and of Thy making, I do not despair of my salvation in my wretchedness. But made bold by Thine infinite compassion, I draw near. Receive me, O Christ Who lovest all men, as Thou didst receive the prostitute, the thief, the tax-collector and the prodigal. Take away the heavy burden of my sins, for Thou takest away the sins of the world, Thou healest the infirmities of men, Thou callest to Thyself and givest rest to those who labor and are heavy laden. Thou hast not come to call the righteous, but sinners to repentance. Cleanse me from every stain of flesh and spirit. Teach me to fulfil holiness in fear of Thee. That having the testimony of my own conscience clean, and having Communion of Thy Holy Things, I may be united with Thy Body and Blood and may have Thee to dwell and abide in me, with the Father and Thy Holy Spirit. 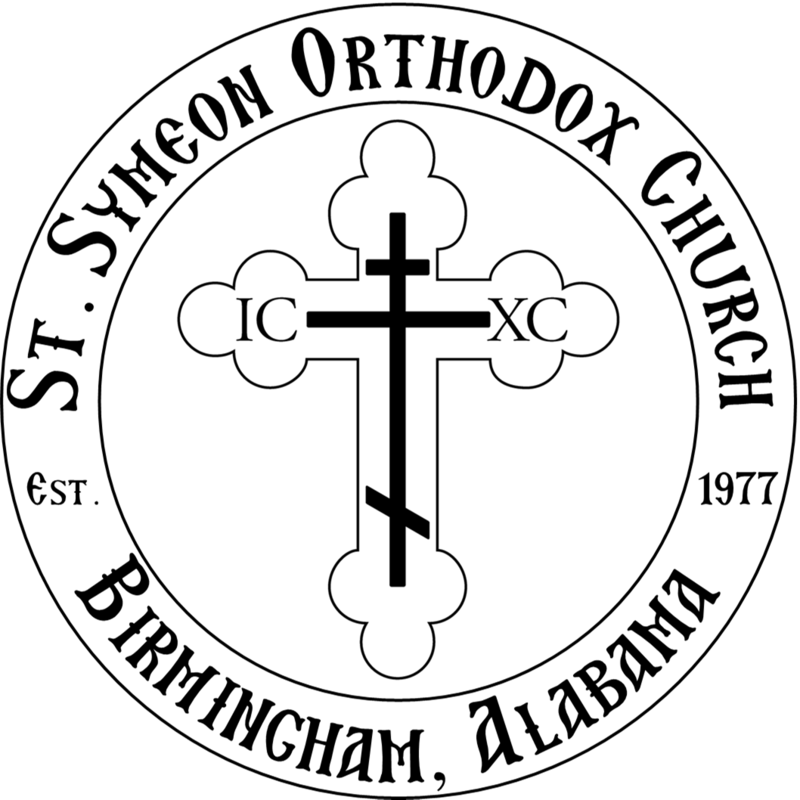 O Lord Jesus Christ my God, may the Communion of Thy Most Pure and Life-Creating Mysteries not bring me into judgment, nor may I become weak in soul and body by partaking in an unworthy manner, but grant me to receive Communion of Thy Holy Things without condemnation even to my very last breath, and by them to receive Communion of the Holy Spirit, provision for the journey of eternal life, and an acceptable answer at Thy dread judgment seat; that I, together with all Thy chosen ones, may also be a partaker of the incorruptible blessings which Thou hast prepared for those who love Thee, O Lord, in whom Thou art glorified forever. Amen. O Lord my God, I know that I am not worthy nor sufficiently pleasing that Thou shouldst come under the roof of the house of my soul for it is entirely desolate and fallen in ruin and Thou wilt not find in me a place worthy to lay Thy head. But as Thou didst humble Thyself from on high for our sake, so now humble Thyself to my lowliness. As Thou didst deign to lie in a cavern, in a manger of dumb beasts, so now deign to enter in to the manger of my beastly soul, and into my soiled body. And as Thou didst not disdain to enter and to eat with sinners in the house of Simon the leper, so now be pleased to enter into the house of my soul, humble and leprous and sinful. And as Thou didst not cast out the prostitute, the sinful woman who came to touch Thee, so have compassion on me a sinner who comes to touch Thee. As Thou didst not abhor the kiss of her sin-stained and unclean mouth, do not abhor my mouth, worse stained and more unclean than hers, nor my stained and shamed and unclean lips, nor my still more impure tongue. But let the Fiery Coal of Thy Most Pure Body and Thy Most Precious Blood bring me sanctification, enlightenment and strengthening of my lowly soul and body, relief from the burden of my many transgressions, protection against every action of the devil, repulsion and victory over my wicked and evil habits, mortification of my passions, accomplishment of Thy commandments, increase of Thy Divine Grace, and inheritance of Thy Kingdom. For I do not come to Thee in presumption, O Christ my God, but made bold by Thine unspeakable goodness, lest I stray far away from Thy flock, O Master, and become caught by the wolf of souls. Therefore I pray Thee, O Master, for Thou alone art holy, sanctify my soul and body, my mind and heart, my muscles and bones. Renew me entirely. Implant Thy fear in my fleshly members and let Thy sanctification never be removed from me. Be my helper and defender, guide my life in peace and make me worthy to stand at Thy right hand with all Thy Saints. By the prayers and supplications of Thy Most Pure Mother, of Thy spiritual servants, the most pure Angelic Powers, and of all the Saints who from all ages have been well-pleasing to Thee. Amen. O Only Pure and Incorruptible Lord, because of the unspeakable mercy of Thy love for mankind, Thou didst take to Thyself our entire human composition from the pure blood of the Virgin who gave birth to Thee beyond nature, by the descent of the Holy Spirit and the good-will of the Ever-Existing Father. O Christ Jesus, Wisdom of God and Peace and Power, through the human nature which Thou didst take to Thyself, Thou didst suffer the life-creating and saving Passion: the Cross, the nails, the spear, death itself. Put to death in me the soul-destroying passions of the body! Through Thy burial Thou didst capture the kingdom of death. Bury in me the evil devices of the devil with good thoughts, and destroy the spirits of evil! Through Thy life-bringing Resurrection Thou didst raise up the first father who had fallen. Raise me up who am sunk down in sin and give me the image of repentance! Through Thy glorious Ascension Thou didst make the flesh which Thou didst assume to be Divine, and placed It on the Throne at the Father's right hand. Grant me to receive a place at the right hand with the saved through Communion of Thy Holy Mysteries! Through the coming of Thy Spirit, the Comforter, Thou didst make Thy consecrated Disciples to be honorable vessels. Show me also to be the receptacle of His coming! Thou hast promised to come again to judge the world in righteousness. Grant that I may go to meet Thee in the clouds, my Judge and Creator, with all Thy Saints; that I may glorify and praise Thee without end, together with Thy Father Who is without beginning, and Thy Most Holy and Good and Life-Creating Spirit, now and ever and unto ages of ages. Amen. O Lord and Master Jesus Christ our God, Who alone hast power to absolve men from their sins, for Thou art good and lovest all men, forgive all my transgressions done in knowledge or in ignorance, and make me worthy without condemnation to have Communion of Thy Divine and Glorious and Pure and Life-Creating Mysteries. Let them not be for my punishment, or for the increase of my sins. But let them be for my purification and sanctification, as a promise of the life and Kingdom to come, a defense and a help and a repulsion of every evil attacker and the removal of my many transgressions! For Thou art a God of mercy and generosity and love for mankind, and to Thee we send up glory, with the Father and the Holy Spirit, now and ever and unto ages of ages. Amen. I know, O Lord, that I have Communion unworthily of Thy Most Pure Body and Thy Most Precious Blood, that I am guilty and drink condemnation to myself not discerning Thy Body and Blood, O my Christ and God. But daring upon Thy generous loving-kindness I come to Thee Who hast said: “He who eats My Flesh and drinks My Blood abides in Me and I in him.” Be merciful, therefore, O Lord, and do not rebuke me a sinner, but deal with me according to Thy mercy, and let Thy Holy Things be for my purification and healing, for enlightenment and protection, for the repulsion of every tempting thought and action of the devil which works spiritually in my fleshly members. Let them be for boldness and love for Thee, for the correction and grounding of my life, for the increase of virtue and perfection, for the fulfillment of Thy commandments, for the Communion of the Holy Spirit, for the journey of eternal life, for a good and acceptable answer at Thy dread judgment, but not for judgment or condemnation. Amen. From lips defiled and vile heart, from an impure tongue and a soul defiled, receive my prayer, O my Christ, and do not despise my words, my appearance, nor my shamelessness. Grant me the boldness, my Christ, to say what I desire. Even more ― teach me what to do and say. I have sinned more than the harlot who, on learning where Thou wast, brought myrrh and came boldly to anoint Thy feet, my God, my Master, and my Christ! As Thou didst not turn her away when she came with her heart, so, O Word, turn me not away, but give me Thy feet to hold, to kiss, and anoint boldly with a stream of tears as a precious anointment. Wash me with my tears, O Word, and cleanse me with them! Remit my transgressions and grant me forgiveness! Thou knowest the multitude of my evil: Thou knowest also my wounds. Thou seest my scars: Thou knowest also my faith! Thou seest my intentions and hearest my sighs. Nothing is hidden from Thee, my God, my Maker, and my Redeemer ― not even a tear drop or part of that drop. Thine eyes have seen that which I have not yet done. Thou hast inscribed in Thy book things yet to happen. See my humility! See each of my labors and all of my sins! Absolve me, O God of All, that with a pure heart, trembling thoughts and a contrite soul I may partake of Thine Undefiled and Most Holy Mysteries which enliven and deify all who partake of Them with a pure heart. Thou hast said, O Master: “Whoever eats my Body and drinks my Blood abides in Me and I in him!” True is every word of my Master and God! When I partake of Thy Divine and Deifying Grace I am no longer alone ― I am with Thee, my Christ, the Light of the Triple Sun Which enlightens the world! May I not remain alone without Thee, O Life-Giver, my Breath, my Life, and my Joy, the Salvation of the world! I approach Thee, therefore, with tears, as Thou seest, and a contrite soul. I beg to receive deliverance from my sins. May I partake uncondemned of of Thy Life-Giving and Spotless Mysteries, that Thou mayest abide, as Thou hast said, with me, the thrice-wretched. May the tempter not find me without Thy Grace and seize me deceitfully and lead me, deceived, from Thy deifying words! Therefore, I fall down before Thee and fervently cry: as Thou didst receive the Prodigal and the harlot who came to Thee, O Gracious One, receive me, prodigal and defiled. With a contrite soul I approach Thee now: I know, O Savior, that no one has sinned against Thee as I have, nor done the deeds that I have done. But I also know that neither the greatness of my transgressions nor the multitude of my sins surpass the great patience of my God and His extreme love for mankind! Through Thy merciful compassion Thou dost cleanse and brighten those who repent with fervor, making them partakers of Light and full communicants of Thy Divinity! To the astonishment of Angels and human minds, Thou dost converse with them often as with Thy true friends! This makes me bold, my Christ, this gives me wings! Emboldened by the wealth of Thy generosity towards us, with both joy and trepidation, I who am grass partake of Fire! O strange wonder! I am sprinkled with Dew and am not burned, as the bush burned of old without being consumed! With grateful thoughts and a grateful heart, with my grateful members, my soul and my body, I now fall down and worship and glorify Thee, my God, for blessed art Thou, now and forever! O God, absolve, remit and pardon me my transgressions; as many sins as I have committed by word or action or thought, willingly or unwillingly, consciously or unconsciously; forgive me everything since Thou art good and the Lover of men! And by the prayers of Thy Most Pure Mother, of Thy spiritual servants, the holy Angelic Powers and all the Saints, who from all ages have been well-pleasing to Thee, be pleased to allow me to receive Thy Most Pure Body and Thy Most Precious Blood for the healing of my soul and body, and the purification of my evil thoughts! For Thine is the Kingdom and the power and the glory with the Father and the Holy Spirit, now and ever and unto ages of ages. Amen. I am not worthy, Master and Lord, that Thou shouldst enter under the roof of my soul; yet inasmuch as Thou desirest to live in me as the Lover of men, I approach with boldness! Thou hast commanded: let the doors be opened which Thou Thyself alone hast made and Thou shalt enter with Thy love for men just as Thou art! Thou shalt enter and enlighten my darkened reasoning. I believe that Thou wilt do this! For Thou didst not cast away the prostitute who came to Thee with tears, neither didst Thou turn away the tax collector who repented, nor didst Thou reject the thief who acknowledged Thy Kingdom, nor didst Thou forsake the repentant persecutor, the Apostle Paul, even as he was! But all who came to Thee in repentance Thou didst unite to the ranks of Thy friends, who alone art blessed forever, now and unto the endless ages. Amen. O Lord Jesus Christ my God: absolve, loose, cleanse and forgive me Thy sinful and useless and unworthy servant my errors, transgressions and sinful failings as many as I have committed from my youth up to this present day and hour, consciously and unconsciously, in words or actions or reasonings, thoughts, pursuits and in all my senses! By the prayers of Thy Mother the Most Pure and Ever-Virgin Mary who gave birth to Thee without human seed, my only Hope which will not put me to shame, my Intercessor and Salvation, grant me to have Communion without condemnation of Thy Most Pure, Immortal, Life-Creating and Awesome Mysteries; for the remission of sins and unto life everlasting; for sanctification, enlightenment, strength, healing and health of soul and body; for the most perfect removal and destruction of my evil thoughts and reasonings and intentions, fantasies by night, brought by dark and evil spirits; for Thine is the Kingdom and the power and the glory and the honor and the worship with the Father and Thy Holy Spirit, now and ever and unto ages of ages. Amen. I stand before the doors of Thy temple and I do not forsake my wicked thoughts. But, O Christ my God, as Thou hast justified the tax-collector, and hast had mercy on the woman of Canaan and hast opened the gates of Paradise to the thief, open to me the interior depths of Thy love for men and receive me as I come and repent before Thee! Receive me as Thou didst receive the sinful woman and the woman with the flow of blood: for the first embraced Thy most pure feet and received the forgiveness of her sins, and the second just touched the hem of Thy garment and received healing! But I who am lost, daring to receive Thy whole Body, may I not be burned; but receive me as Thou hast received them, and enlighten my spiritual senses, burning up my sinful faults by the prayers of her who gave birth to Thee without human seed, and of the Heavenly Angelic Powers, for Thou art blessed unto ages of ages. Amen. I believe, O Lord, and I confess that Thou art truly the Christ the Son of the Living God Who camest into the world to save sinners, of whom I am first. I believe also that this is truly Thine own Most Pure Body, and that this is truly Thine own Precious Blood. Therefore, I pray Thee: have mercy upon me and forgive my transgressions both voluntary and involuntary, of word and of deed, committed in knowledge or in ignorance! And make me worthy to partake without condemnation of Thy Most Pure Mysteries, for the remission of my sins, and unto life everlasting. Amen. 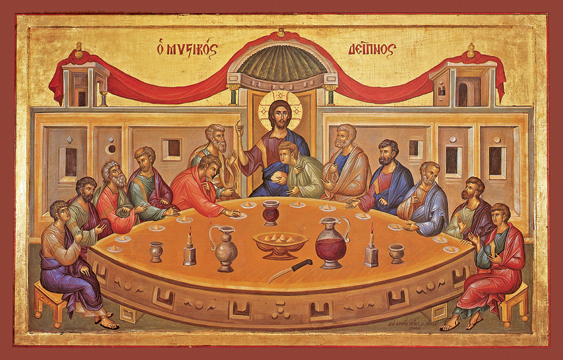 Of Thy Mystical Supper, O Son of God, accept me today as a communicant; for I will not speak of Thy Mystery to Thine enemies, neither like Judas will I give Thee a kiss; but like the thief will I confess Thee: Remember me, O Lord, in Thy Kingdom! May the Communion of Thy Holy Mysteries be neither to my judgment, nor to my condemnation, O Lord, but to the healing of soul and body. Amen.